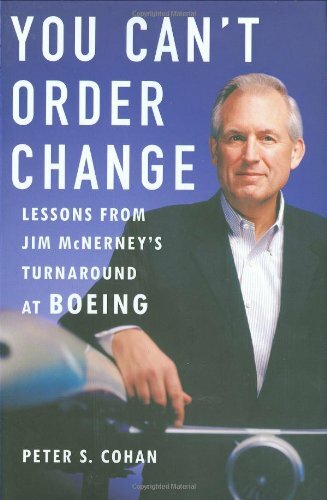 A profile of the acclaimed CEO of Boeing discusses his tutelage under Jack Welch, his critical turnaround of the troubled aircraft manufacturer, and the consensus-driven leadership style that enables his unique approaches to such areas as accountability, customer focus, and cost cutting. 35,000 first printing. Peter S. Cohan is a management consultant and venture capitalist. He earned an MBA from Wharton and teaches strategy at Babson College. He also edits The Cohan Letter, a successful investment newsletter.